Last week I shared a beer with you that I picked up on my Summer Road Trip. 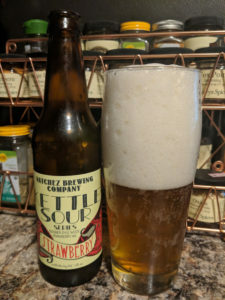 Today we will continue our trip down the Mighty Mississippi with a beer from a town called Natchez, MS. Today we are going to be reviewing Natchez Brewing’s Kettle Sour Strawberry! Sour beers were a rare treat on our trip down South. A lot of brewers didn’t find them traditional enough and thought they would scare off patrons who are just starting to get used to the notion of craft beer. The brave brewers of Natchez Brewing are paving the sour trail with the Kettle Sour series, and this sample does not disappoint. Natchez Brewing’s Kettle Sour series are a limited series of beer. Click here for more information on where to buy this beer. This beer pours into the glass fast and crisp, quickly building a thick foamy head. Carbonation bubbles form in large droves and cling to the side of the glass. I don’t even have to lift the glass to my nose to smell the fresh picked strawberries coming from this beer. The beer is a reddish-gold, not unlike a decent IPA. First taste is dry, like a fine sauvignon blanc wine. Then the strawberry comes in with a quick sweet punch that is quickly followed with the signature tart sourness. It has a light mouth feel, and doesn’t linger on the pallet for very long. It is also very decently carbonated. Well for me personally this is a dessert beer and pairing it with anything creamy with berries is going to be a real treat. Think strawberry shortcake! If you want to add a little contrast a mixed berry dessert with a chocolate base might not be a bad idea. The versatility of pork is the clear choice for meat pairings, although a chicken made up with some sort of acidic fruit sauce/rub wouldn’t be bad here either. Avoid fish, except salmon, as the delicate flavors of fish might not be the best here. Sharp cheese like cheddar are a good pairing buddy for this beer as well! We get a little spoiled in Minnesota with all the great sour programs going on. But I am glad to see Natchez Brewing putting up a solid effort to make sours happen in the South. This beer is a great introductory beer for heavy wine drinkers, and fans of simple sour beers. This beer was a nice break from the heavy IPA laden South, and you should definitely pick some of their Kettle Sour series if you are ever in the area. This one is getting Beerploma’s Seal of Approval! Thanks for reading this article. 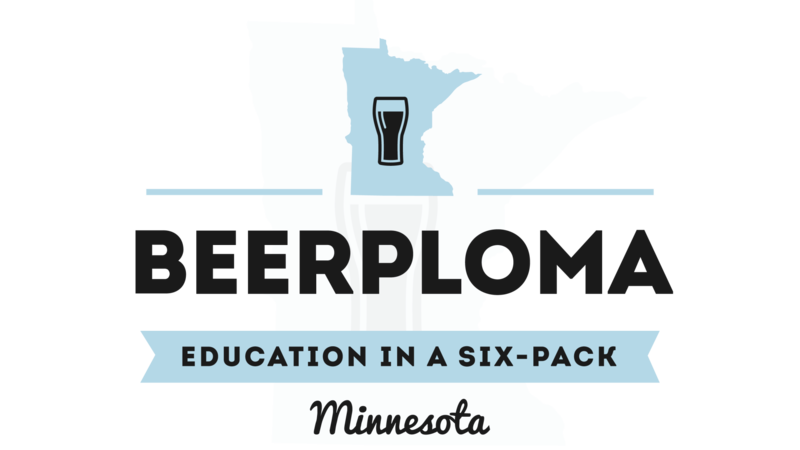 Be sure to visit us on Facebook, Twitter, Instagram, and Untapped for the latest and greatest in Minnesota Craft Beer News! Also, if you enjoy our content please click on our sponsored link below, there is no cost or obligation to you, and every click helps support our blog!